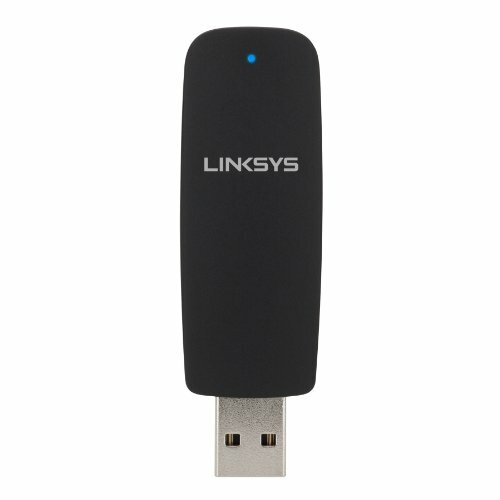 Upgrade your computer with the freedom and reliability of Wireless-N. Just plug the Adapter into your computer's USB port to wirelessly connect to your network. With transfer rates up to 300 Mbps you'll enjoy a powerful networking experience for surfing, chatting, sharing or playing online. Built with leading 802.11n wireless technology, the Linksys AE1200 offers expanded coverage and reliability. MIMO (multiple input multiple output) antennas boost signal strength so you can stay connected whether at home or at Wi-Fi hotspots on the go.